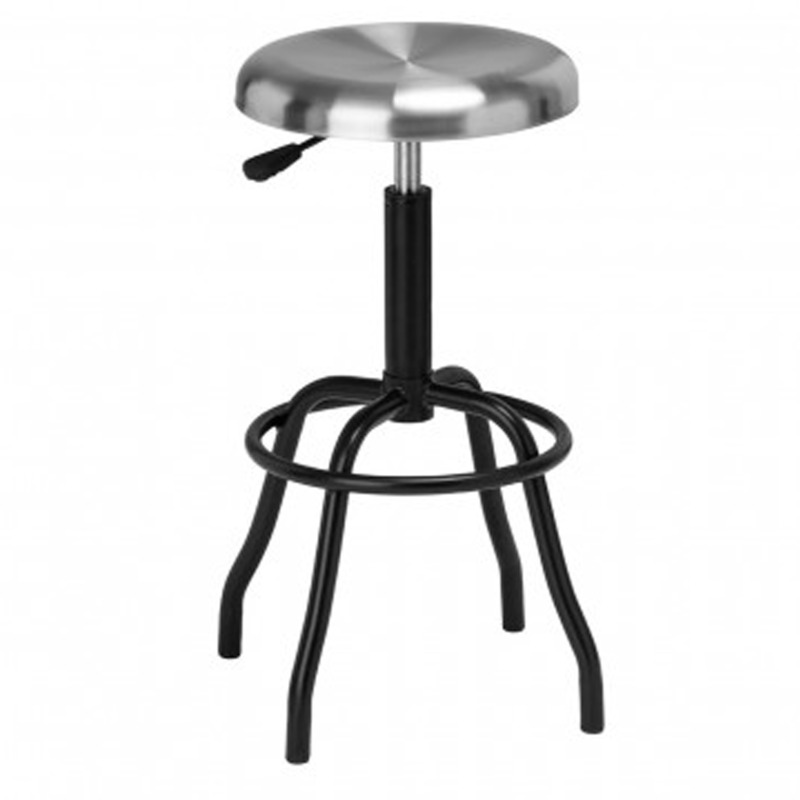 This factory style bar stool was influenced by the industrial age. This stylish and practical piece will make a perfect addition to your home. Complete with 360 rotation, adjustable height, a stainless steel seat with a beautiful black finish. The legs are wide at the bottom with give the stool a lot more stability while the ring provides a nice footrest.